Virtuoso – – Free – excellent multi touch piano which you can either play by yourself or use the 2 person mode to play with others. Congas – Free – Great app for students to drum away with. Really reactive to your touch with lots of different variations on sounds depending where you touch. 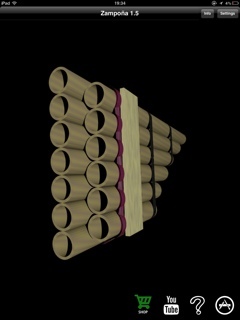 Zampona – Free – A traditional Andean panpipe – really nice sounds and works great on the iPad. Airvox – £2.29 – Gesture controlled music app similar to Soundbeam device. 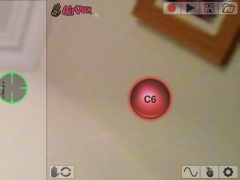 Uses the front facing camera, it reacts to your hand movements allows anyone to make music using their own gestures. 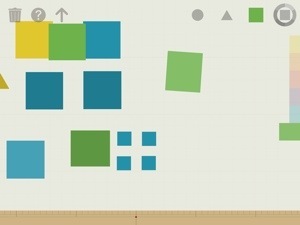 Visuamusio – £2.99 – Great app to create music using different shapes, which produce different sounds. Really nice app for all learners to use.